In spite of this statement, I believe that I have most, if not all, of the previous Doyle biographies in my collection – those by Carr, Pearson, Stashower, Costello, Lellenburg and Stashower, Jaffee, Symons, Higham, and even Doyle’s own autobiography, “Memories and Adventures”. They are all go-to’s when I’m researching some fact or other in relation to the lives of Holmes and Watson. In 2015, I came up with the idea of, and then edited and contributed to, the ongoing Holmes anthology series, “The MX Book of New Sherlock Holmes Stories”. These author royalties for these volumes go to benefit the Stepping Stones School for special needs students, located at Undershaw, one of Doyle’s homes. It was through this effort that I became much more aware of both Doyle and Undershaw. While learning about this special place, I actually began to wish that I had visited this Doyle residence because of Doyle, and not just because of connections to Holmes and Watson. At about this time, I happened to acquire the three excellent biographies of Doyle – “The Norwood Author”, “An Entirely New Country”, and “No Better Place” – all written by Alistair Duncan, in which new insights are provided into three crucial eras of the man’s life. “An Entirely New Country”, spanning those years on either side of the beginning of the twentieth century, is the volume that specifically covers the Undershaw years. This was a difficult time for Doyle, as his wife, Louisa, was slowly dying, while he was falling in love with the woman who would become his second wife, Jean Leckie. During this period, Doyle’s celebrity was growing – he was writing books, stories, and articles, and while living at Undershaw, he participated in the publication of the first new Holmes adventures since Holmes had been reported killed at Reichenbach Falls in “The Final Problem”. It was here that “The Hound of the Baskervilles” was polished for publication, and then stories in “The Return of Sherlock Holmes” were authorized following Sherlock Holmes’s retirement in October 1903. This book is a tribute not only to what Doyle accomplished while living at Undershaw, but to the building itself, and how important it is to rescue it from the years of neglect that have nearly destroyed it. An Entirely New Country is available through all good bookstores including Amazon USA, Amazon UK, Waterstones UK,Book Depository ( free worldwide delivery) and in all electronic formats including iTunes, Kobo, Nook and in a very popular Kindle version that includes the dozens of photos. Two, To One, Be is available from all good bookstores including Amazon USA, Amazon UK, Waterstones UK, and for free shipping worldwide Book Depository . 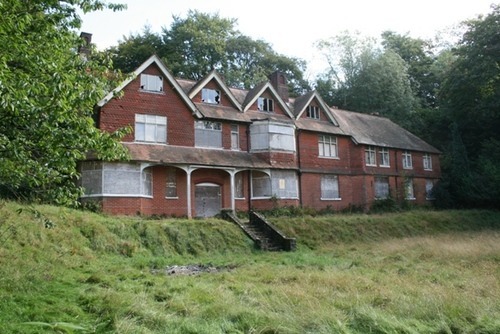 In the coming weeks the courts will make the final decision on Undershaw, Conan Doyle’s former home. 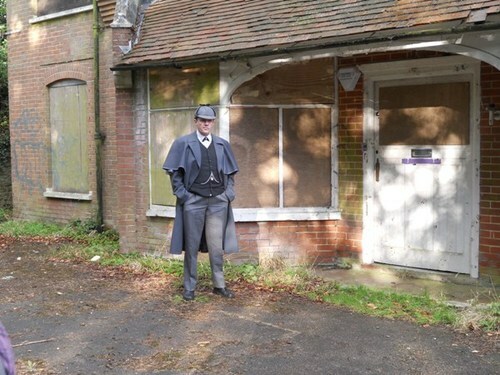 It has been the subject of a long running battle between the developers who seek to destroy it, and the band of Sherlock Holmes fans who are fighting to save it and return it to its former glory. The high court ruled in favour of the fans – the developers appealed – that was defeated too – now they have appealed the rejection of the appeal (come on….). Now we just have to wait for that to get looked at and then we’re done: you’ve got to love the British judicial system (not). In the meantime the UPT (Undershaw Preservation Trust) are putting together a fundraising committee of ten to twelve volunteers whose job it will be to raise the money needed to restore Undershaw back to its former glory. Due to the negligence of the developers [the high court case highlighted at least two instances where they broke the law in not keeping the building safe whilst the court case raged on] the job is considerably bigger than it needed to have been. It’s estimated that the team will need £2.5m (around $4m) to restore and prepare the building. This is where Sherlock Holmes fans around the world have plenty of ways of getting involved. Most of you will be aware of the book ‘Sherlock’s Home: The Empty House’ which was compiled by BBC Sherlock fan site Sherlockology and whose royalties all go to the trust. Many of you have bought the book and many have joined the trust’s Save Undershaw Facebook Page. Now I’d like to suggest something else. Corporate sponsorship. We live in an era where Football, Baseball and Soccer stadiums around the world have corporate sponsors – even the theatre bar I was in a few weeks ago in London carried the support logo of their sponsor American Airlines. So why now Undershaw? On a purely brutal front, there is lots of very positive brand exposure to be had to be linked to this quite amazing story how a group of fans (led by John Gibson) have managed to save an incredible building against all the odds. My first stop for corporate sponsors are the corporations that have, especially in recent times, made some serious money from the Sherlock Holmes stories. Let’s remember, that if it wasn’t for Undershaw, none of that money would have been made, there would have been no Sherlock Holmes. I am deadly serious here. Few people realise that Undershaw is where Conan Doyle brought Holmes back to life and where he created the The Hound of The Baskervilles that catapulted Holmes from simply a ‘fairly popular’ detective, to a worldwide phenomenon. Without Undershaw, we wouldn’t be enjoying Holmes today. So yes, Warner Brothers, Undershaw has given you two blockbuster movies that have grossed hundreds of millions of dollars. Yes, BBC (I know you are a public corporation but you still are able to sponsor), you have this building to thank for the prolific success of BBC Sherlock. And how about CBS with Elementary…. I’m sure you guys will make a few bucks out of that too. Now I am not suggesting any of these corporations hand over the millions that are required (though that would be nice) but it certainly would be fitting for them to be involved. There are plans to include a museum element to the restored house and it would be brilliant to have a Holmes on screen section with costumes and momentos from the films and TV series. But here is the crux of this article, it’s a call out to the Holmes fans around the world who by day work for big corporations in many fields of expertise. There are plenty of ways for companies to get involved – especially any of those involved in construction. There will be plenty of opportunity for publicity – that’s one thing the Holmes fan base is really good at. 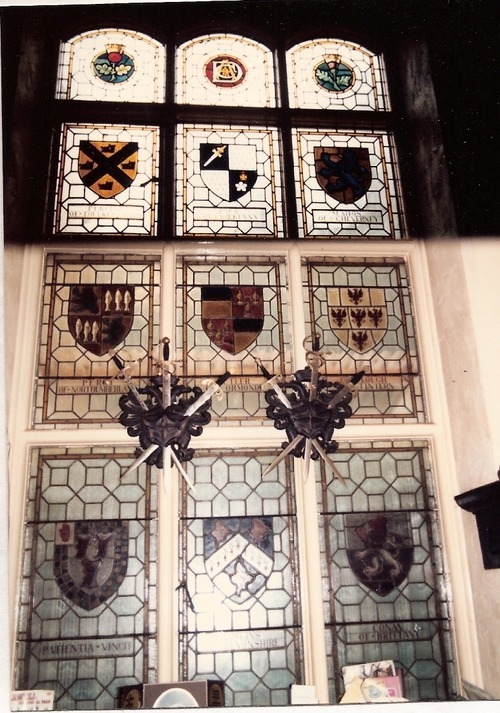 There are dozens of rooms in the house and I am sure there is the opportunity for corporations to sponsor perhaps Conan Doyle’s study, the library of Holmes books that will be created – or perhaps the stunning stained glass window which surely every future visitor will stop to admire…. Corporations can write off donations like this against tax and use the association with the house for entertainment of key clients. A private tour of the house where Sherlock Holmes came back to life? Now that’s what I call special corporate entertainment….. If you have an idea of how your company can get involved in the restoration and running of Undershaw please contact the UPT through the Save Undershaw Facebook page. And if you haven’t got hold of a copy of the book ‘Sherlock’s Home’ its available from all good bookstores and in all formats – Amazon, Barnes and Noble, Book Depository (free worldwide delivery), Kindle , Kobo , Nook, and iTunes. When his last book won the 2011 Howlett Award (Shelock Holmes Book of The Year) it was always going to be tough for Alistair Duncan to meet expectations with his next one. Thankfully he does that, and more, in arguably one of the best books ever written on Conan Doyle. An Entirely New Country went down so well with co-creator of BBC’s Sherlock, Mark Gatiss that he agreed to provide the foreword.The Sherlock Holmes Society of London has now reviewed the book in their latest newsletter and they agree to the importance of the book. Holmes fans have fed back that in addition to being historically significant the book is also an excellent read. “Alistair Duncan’s Eliminate the Impossible was a very good start, and Close to Holmes confirmed him as a truly important writer in our field. In The Norwood Author he illuminated, as no previous biographer had, an essential period in the life of Conan Doyle, when Sherlock Holmes leapt to international fame – and his creator killed him. 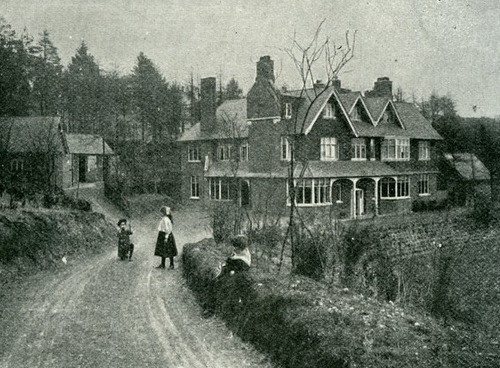 Now An Entirely New Country: Arthur Conan Doyle, Undershaw and the Resurrection of Sherlock Holmes throws light on the drama of the years that followed, when Conan Doyle and his family lived in Undershaw, the house he’d had built at Hindhead, where conditions were favourable for his invalid wife Louise. Hindhead was also the centre of an informal community of writers and artists. An Entirely New Country is available through all good bookstores including Amazon USA, Amazon UK, The Mysterious Bookshop (New York), Classic Specialities and in a simply stunning Kindle version that includes the dozens of photos in all their digital glory. If you are lucky enough to have a Kindle Fire we can report back that the colour photos come out really well on it. Mark Gatiss (Sherlock, Dr Who, The League of Gentlemen) has written the foreword to what Holmes fans are eagerly expecting to be the most important new Arthur Conan Doyle book of 2011. Author Alistair Duncan has a very hard act to follow with his new book, An Entirely New Country. His last book, The Norwood Author won the 2011 Howlett Literary Award (Sherlock Holmes book of the year) and was widely recognised as one of the most important Conan Doyle books in recent times due to the new information Duncan uncovered during his meticulous research. The challenge is that Conan Doyle is one the most written about authors in history, with literally hundreds of biographies about the great man. To find genuinely new information means delving into local archives which was the secret to the success of the book on the Norwood period. Duncan admits that he couldn’t create these ground-breaking books without the significant help from local library staff. What adds to the importance of this book is the timing. The book covers the ‘Undershaw’ period, the time Conan Doyle spent in the home that he himself designed. The house faces destruction by developers and The Undershaw Trust is working hard to save it. Mark Gatiss is the patron of Save Undershaw and brings a lot of welcome awareness and support to the team. Judging by the tens of thousands that visit the Sherlock Holmes Museum every year, and the millions of new fans that the BBC’s Sherlock and the new movies have generated, there is plenty of scope for restoring this important building and creating a larger exhibition for Sherlock Holmes. The most important book on Conan Doyle in 2011? – undoubtedly. We hope that at least one person that reads An Entirely New Country has a spare £million or two to invest in preserving an important part of Conan Doyle’s history before it is lost forever. The Most Important Book On Sherlock Holmes And Arthur Conan Doyle of 2011? Alistair Duncan has a very hard act to follow with his new book, An Entirely New Country. His last book, The Norwood Author won the 2011 Howlett Literary Award (Sherlock Holmes book of the year) and was widely recognised as one of the most important Conan Doyle books in recent times due to the new information Duncan uncovered during his meticulous research. What adds to the importance of this book is the timing. The book covers the ‘Undershaw’ period, the time Conan Doyle spent in the home that he himself designed. The house faces destruction by developers and The Undershaw Trust is working hard to save it. Judging by the tens of thousands that visit the Sherlock Holmes Museum every year, and the millions of new fans that the BBC’s Sherlock and the new movies have generated, there is plenty of scope for restoring this important building and creating a larger exhibition for Sherlock Holmes. The biggest Holmes seller this Christmas will probably be The House Of Silk – the new Holmes ‘official’ novel from Anthony Horowitz and we understand too well the importance of pastiches as the most popular form of new Holmes books for publishers. However, we hope that at least one person that reads An Entirely New Country has a spare £million or two to invest in preserving an important part of Conan Doyle’s history before it is lost forever.